Description: MARCOM's "Confined Space Entry" Employee Booklet addresses the major areas of employee training required by the regulation. This Kit was created specifically for OSHA's Permit Required Confined Space Regulation (29 CFR Part 1910.146). Because of OSHA's broad definition of "Confined Space", this Kit will be useful to a number of different types of facilities, including manufacturers, utilities, petroleum and chemical industries, hospitals and many others. 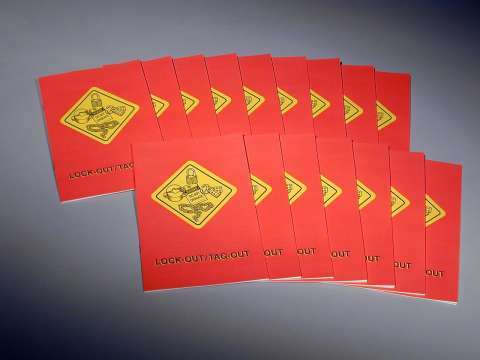 The Employee Booklet include information on contents of the standard, responsibilities of the employer, entry supervisors, attendants and entrants, identifying permit spaces, types of hazards that can be encountered, safety equipment, dealing with emergencies and rescue teams, and more. The Employee Booklet features text, illustrations and a Quiz, and is 16 pages in length. Booklets are available in packages of 15.